You’re running your ad campaigns, and you finally get them approved by Facebook Ads. Then, after a day or two of them running, they shut down for seemingly no reason when they’d previously been approved. We’ve all been there. Especially those of us who work with sensitive ads like supplements. 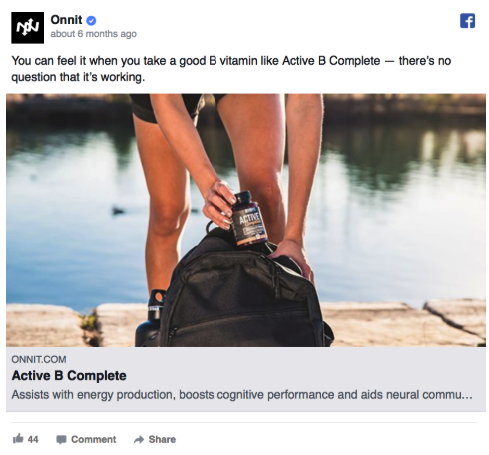 Facebook Ads is tricky enough for most advertisers, but the system is particularly complicated for supplement companies, which have additional restrictions to keep in mind. In some ways, Facebook is a tougher hurdle for some supplements than the FDA. 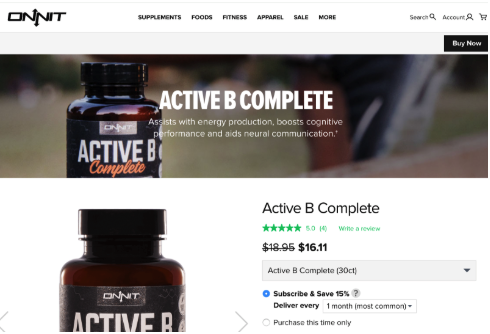 In this post, we’re going to take a close look at how to run high-converting Facebook Ads as a supplement company that follows their rules so you don’t risk getting banned. We’ll show you how to tweak your health offers so that you remain compliant with Facebook while still connecting with your target audience. It’s easy to get so focused on creating a variety of ad copy, that we sometimes lose sight of the original copy we’d started with. If this is the case, it means we can end up drifting further and further from the landing page, which is the last thing we want for several reasons. Even if a slightly mismatched landing page and ad manage to get past Facebook’s review process, it won’t lead you to an abundance of conversions. Instead, you’ll likely see clicks on your ads but a lot of drop offs on your landing page. Users will spot the discrepancies, and they’ll click away. Not only will these users likely be gone for good, but you’ll be paying a lot of money for clicks or impressions for no results. Facebook may not even approve your ad if your ad doesn’t match up with your landing page. Even if they do initially, if users report the ad because of the landing page, they could shut down the ad– if not your ad account, too. Your offer needs to be the same on both, or they’ll reject your ad and send you back to the drawing board. There are certain words that act as triggers, automatically making you pay higher CPMs. Avoiding these trigger words on both your ads and your landing page will save you a lot on ad spend and can prevent your ad from being rejected. Not sure what trigger words are? They can be any particular set of words that signal to the algorithm that you should be paying higher CPMs. 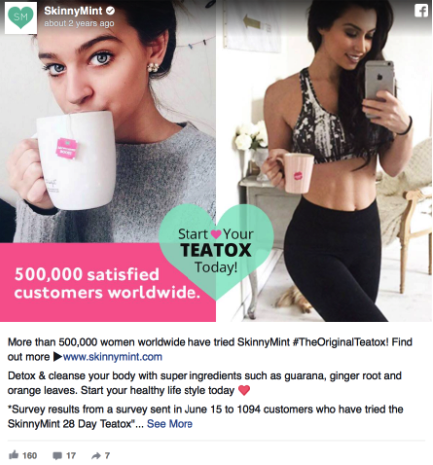 When it comes to health supplements, the two biggest trigger words we’ve seen are “fat loss” and “weight loss.” Putting these phrases into your ad copy can actually send your CPM skyrocketing, with up to 5x the cost for impressions you were paying before. By eliminating these two phrases from an ad or landing page but otherwise keeping it the same, you’ll be able to lower your ad costs significantly and still get the results you want. 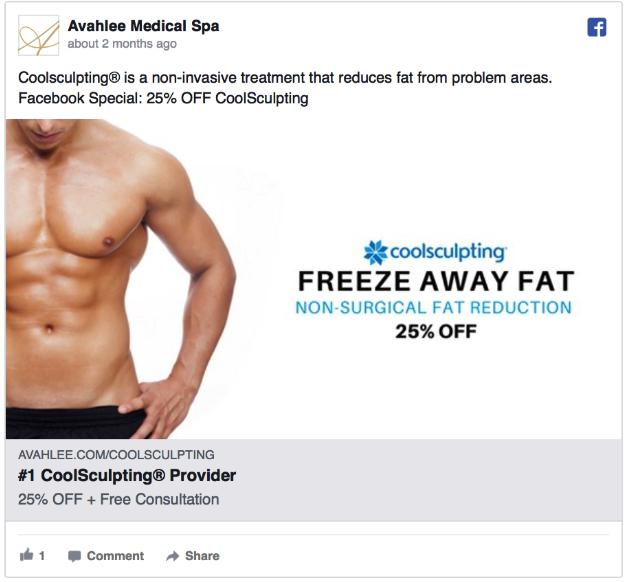 Before and After pictures can be great selling tools, but not when it comes to Facebook Ads. Neither your ad or the landing page it sends users to can have so much as a glimpse of a before and after shot. This is strictly prohibited by Facebook, and the algorithm will actually now scroll through the landing page to identify these images. If they find them, they may skip straight to shutting the account down. The picture below implies a sort of before and after effect, without actually doing so. This may even skirt the line. If before and after images are a powerful selling point for your business, stick them on a different page instead, like a client testimonials page or a specific product page. This will keep you in the clear, because it’s not on the ad or page you’re sending users directly to. Staying away from negative personal attributes can be a little tricky in ad copy; even expert copywriters can struggle with this one, having a hard time getting all the necessary puzzle pieces in place. You don’t want to write copy that focuses a person’s negative attributes, especially if you’re writing about them in a negative way (which typically go hand-in-hand). If you wouldn’t say it to a friend without worrying that it would ding their self esteem, you shouldn’t be putting it in ad copy. Here’s an example. You can’t say “The reasons you’re struggling to lose that extra unwanted weight could be due to hormonal imbalances.” This is negative; it focuses on the individual user, and “you’re struggling to lose unwanted weight” isn’t exactly a self-esteem booster. The word “you” here is particularly problematic, so the second person should be avoided altogether when it comes to selling supplements. An ad below shows how you can do this. Even though the former copy may have more of a direct impact, you won’t get any conversions if your ad doesn’t get approved. The latter would be approved, the former wouldn’t, so write copy that Facebook will accept and then rely on accurate Facebook targeting and retargeting to help get those conversions. Calling out specific body parts in your landing page or ad copy can land you in a world of hurt from Facebook, so this is something to watch carefully. One thing you do want to be careful of here is to not wander into the negative self imagery territory, because this goes against Facebook’s rules. By combining points number four and five, you’ll be good to go here. If you submit a ton of ads and they’re all rejected, Facebook is going to notice. This puts you at risk of having your account shut down. Sometimes it’s not possible to entirely avoid all ad rejections, especially with Facebook cracking down on all ads right now. It’s easy to slip up in a very minor way, or miss a rule. What you don’t want to do is to continue to submit ads that have already been disapproved, especially if you haven’t changed them. Believe it or not, this is something people often do because they think their ad was rejected by a mistake. As a result, it continues to be rejected, and it flags your account for review, risking banning or shut downs. Instead, try to find the reason the ad was rejected up front. Do some research, and if you aren’t sure, try to get in touch with either an expert or a Facebook representative. Always make the necessary changes even if it means going back to the drawing board before you resubmit. This will keep your ad in good standing, so it’s essential. Running Facebook Ads is complex and difficult enough as it is, but the extra obstacles that supplement companies face should be considered carefully. It’s always best to respect the algorithm and Facebook’s rules instead of trying to pull a fast one, because even if you get away with it for a short time, they’ll likely catch on eventually. Once they do, the loophole will be closed for good, and your account probably will be, too. Just as importantly, these 6 steps used over a period of term will help you get your domain whitelisted. This occurs when you’re able to go through an agency or a dedicated account manager to get a note on the account saying it’s currently in review. If your account gets flagged for some reason, you’ll get the benefit of a manual review instead of an automatic shut down, which will give you the chance to fix the issue and keep your account up and running. Need some help running Facebook Ads for your supplement company? We’ll help keep your account running. Every health and wellness company that we’ve worked with has had their account whitelisted. We have yet to have an account in this space get banned because we play with the rules, have a manual review process, and are careful to adhere to all regulations when creating ads. NextNext post:Why Isn’t My Supplement Funnel Working? 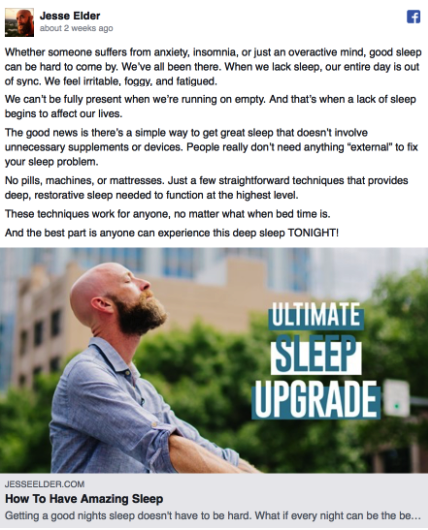 Going Big on Facebook Ads: Where Do My Metrics Need To Be To Scale To $1,000,000? 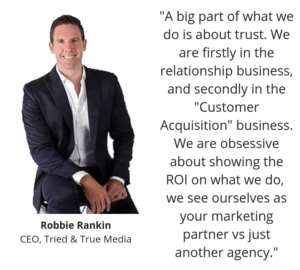 Acquiring Customers on Facebook: Why is There No Consistency? Why Isn’t My Supplement Funnel Working? Get all of our new Facebook ad tactics, user acquisition strategies, and exclusive content right in your inbox.